In what we often refer to, nostalgically, as “the good old days,” families tended to stay in the same geographic location and aged-in-place. When Mom and Dad got too old to live alone, they were integrated into the next generation. Siblings worked together to provide day-to-day care. But those days, for most families, are gone. Many families now are scattered. Contact, even if loving and affectionate, is often intermittent. They gather for holidays or reunions, share a vacation now and then. But as far as dealing with tough issues, navigating stormy waters, family members often lack both communication skills and the ability to compromise. More often than not, making decisions about how to care for an aging parent can be the first time in decades that many siblings have had to collaborate about anything more significant than a joint holiday gift. And the intensity of a crisis tends to pull competent adults back into the roles and emotions they experienced as children in their family system. Resentments buried for decades can surface, sabotaging the mature collaboration needed to make joint decisions. Elder care mediation is as varied as the families we work with. While there are some elements that mirror custody mediation (i.e. the focus is on the long-term best interests of family members who may not be capable of making such decisions), it is a very different process. 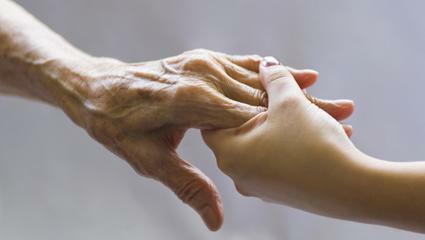 There are often family members who are “hands-on” caregivers and other involved from a distance. Adult children in the role of care-providers often have conflicting approaches. Trust between an aging parent and adult child can be undercut when that ‘child’ takes away car keys and restricts the parent’s autonomy. The decision to move a parent into a care facility (no matter how well-appointed and welcoming) can polarize family members. The struggles and complications of dementia and Alzheimers put everyone on edge. Decisions about medical intervention and care, financial management and allocation, sharing day-to-day responsibilities, coordinating care, power of attorney, long-term priorities… all of these and more are predictable challenges for many families. Too often, decisions are made when an emergency happens, in haste, without adequate time to consider the ramifications. Talking through issues in advance, before an “emergency,” fosters trust and mutual support among siblings rather than frustration, hurt and animosity. As mediators, we do not make decisions for family members. Rather, we provide a safe environment to tackle tough issues, with guidelines for respectful communication. We facilitate decision-making, insuring that everyone’s opinion and perspective is heard, everyone’s concerns addressed. If mentally competent, the parent is included in the process, and their desires, needs and preferences voiced. We may, however, schedule separate sessions for parents and their adult children, as we need the honest feedback that family members often hesitate to voice. The process is private and confidential, with a focus on finding solutions. Some elder care mediations result in formal contracts, but most wrap-up with a concrete, written plan that describes or defines how family members will share responsibilities, financial needs and decision-making. Some families use their mediator as an on-going “coach,” calling up for guidance when they hit a bump in the road. Others find that having a written plan is enough to calm anxieties and foster collaboration. Some families choose to have an annual meeting as a forum for addressing concerns or challenges. If you have any questions about an elder mediation process, please call us.